Welcome to our website! My name is Andrea Renteria and I have the honor and the privilege of representing Garden Place Academy as principal. I am a proud graduate of the Denver Public Schools and my expectation is that each of our students graduates to say the same some years down the road. As a Denver native I graduated from John F. Kennedy high school in Southwest Denver. 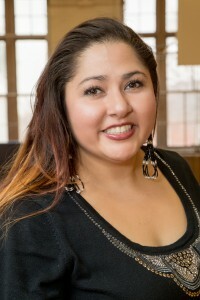 I received my undergraduate degree from the University of Northern Colorado in Mexican-American Studies and Teaching English as a Second Language. When my passion drew me back towards education I returned to school at the University of Denver where I received my Master’s degree in Educational Leadership and endorsements in both Special Education and Culturally and Linguistically Diverse Education. After falling in love with teaching at various schools in DPS I decided to join the Ritchie principal preparation program to become a school leader which led me to my position here at Garden Place Academy. I come here everyday with all of my heart and determination to lead, to learn and to grow with each and every one of our students, staff and community members as we work towards growth and achievement for all of our students.